A 30% discount on the volumes in Dialogue Studies, published by John Benjamins. 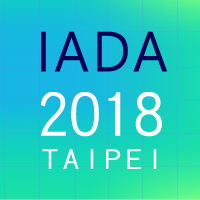 Access to the IADA conferences and reduced registration fees for the symposia and workshops (register to conferences/symposia/workshops in Members section page). Members who register after March 1 will receive all the issues of the current year, but will receive the issues of following year only after renewing their membership. Be sure to select your tier depending on the country in which you live. Country list for tier A & Country list for tier B.
Andorra, Aruba, Australia, Austria, Bahamas, Belgium, Bermuda, Canada, Cyprus, Denmark, Finland, France, Germany, Greece, Greenland, Guam, Hong Kong, Iceland, Ireland, Israel, Italy, Japan, Kuwait, Liechtenstein, Luxembourg, Monaco, Netherlands, New Zealand, Norway, Portugal, Qatar, San Marino, Singapore, Spain, Sweden, Switzerland, Taiwan, United Arab Emirates, United Kingdom, United States.